Internally, Houston First has assembled some tools and features highlighting Black History Month in and around Houston and our state. Houston First actively supports diversity through business and educational programs and support to local organiztions. Below is some of the information shared with our employees. Hopefully you will find them useful and educational as well. Sometimes you find history by flipping through text books. Other times, it unfolds right before your eyes. Harris County experienced such a moment during last November's election when 19 black women ran for judgships. When all the votes were counted, 17 of them emerged as winners. And in those cases, the voting wasn't even close. Though each of them decided individually to run as Democrats, they came together under the slogan "Black Girl Magic" to celebrate the accomplishments of black women. For more about this inspiring accomplishment read "17 Black Women Sweep to Judgeships in Texas County," in the New York Times. If you researched the history of African Americans in Houston, you would find a wealth of people and places that helped shape the city we know today. But Houston is just a drop in the bucket when it comes to Black History Month. Black history, as well as history in general, is abundant everywhere. If you love to travel, you can find historical travel to be both educational and entertaining. Finding the people and places around the world who have written our history in blood and sweat is a fascinating journey. In this world of endless information there is an app that can help you find interesting places not only in Houston, but all over Texas. This makes for great weekend trips whether you are a history buff or not. This section of the app points out the rich African American history of Texas with the places you can visit all over the state. Broken down by cities, it is a wealth of knowledge just to read even if you don't travel to the various location. Houston alone has many places including the African American Library at the Gregory School, the Buffalo Soldiers National Museum and many others. During this month of Black History we encourage you to see what is available right here in Houston and around our state. Education is key to understanding, and understanding the depth of African American influence in our city and state is time well spent. When walking through the George R. Brown Convention Center, stop to take a look at the new display. In celebration of Black History month, the GRB is highlighting the collection from the African American Library at the Gregory School. Background: In 1865, Freedmen’s Town in Houston’s historic Fourth Ward established an independent residential neighborhood, putting African Americans one step closer to creating a stable and secure community for themselves during the post-Civil War years. Nearly 150 years later, the African American Library at the Gregory School opened its doors in 2009, and is dedicated to documenting and preserving the tradition, culture and history of African Americans in the greater Houston area. 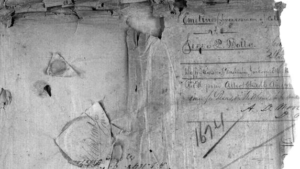 Archival collections provide important documentation for culture and history, bridging past and present with explorations of emotion and experience. This exhibition brings together a selection of photographs from various collections in the library’s archives. 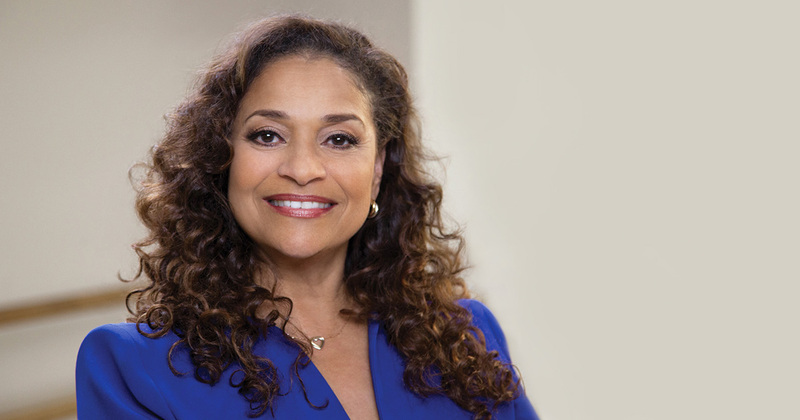 Debbie Allen is a choreographer, dancer, actress, producer and director from the Third Ward of Houston. Allen rose to fame in 1980 starring in a Broadway revival of West Side Story. Her performance earned her a Tony nomination and landed her a role as a dance instructor in the movie Fame. In 1982, the film evolved into a successful television spin-off in which Allen co-starred and won three Emmy awards for choreography. In 2001, she opened the Debbie Allen Dance Academy in Los Angeles. Allen has also starred in the sitcom In the House, alongside LL Cool J. She is currently a director and special guest star in ABC’s longest running primetime show, Grey's Anatomy. She is the sister to famous sibling Phylicia Allen Rashad. U.S. Representative Sheila Jackson Lee is known as a vocal advocate for civil rights and is one of the most recognized faces in Washington, D.C. A member of the Democratic party, she has represented Texas' 18th Congressional District continuously since 1994. Her district splashes across Acres Homes, the Heights and the Fifth Ward. It also cuts right through downtown Houston where many of Houston First's venues are located. In fact, she joined Mayor Sylvester Turner and several HFC board members in Wortham's re-opening last September. In a speech, she recalled her role in passing the original construction bonds to build the theater and emphasized the importance of Wortham for the people in her district and the entire Houston area. 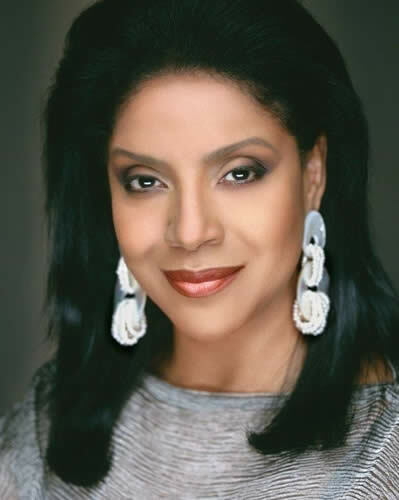 From Houston's historic Third Ward, Phylicia Rashad is a producer, director and Tony-award winning actress. Rashad's most well-known roles is that of mother, lawyer and wife Clair Huxtable on NBC's The Cosby Show (1984-92). Also, she starred in many Broadway and off-Broadway productions and was the first African-American actress to win a Tony Award for Best Actress in a Play for her stirring portrayal of Lena Younger in "A Raisin in the Sun." Rashad has also starred in Uncle Tom's Cabin, Once Upon a Time...When We Were Colored, The Wiz, Cat on a Hot Tin Roof and FOX's smash TV hit, Empire, among many other theater and TV productions. She is a former adjunct Howard University professor, and she and her famous sister, Debbie Allen, have a production company called D.A.D (Doctor Allen's Daughters). Winner of the 2018 Sir Georg Solti Conducting Award, Roderick Cox is a conductor based in Berlin. Named the Minnesota Orchestra's Associate Conductor in September 2016, Cox completed the role in 2018 following a year as the ensemble's Assistant Conductor. 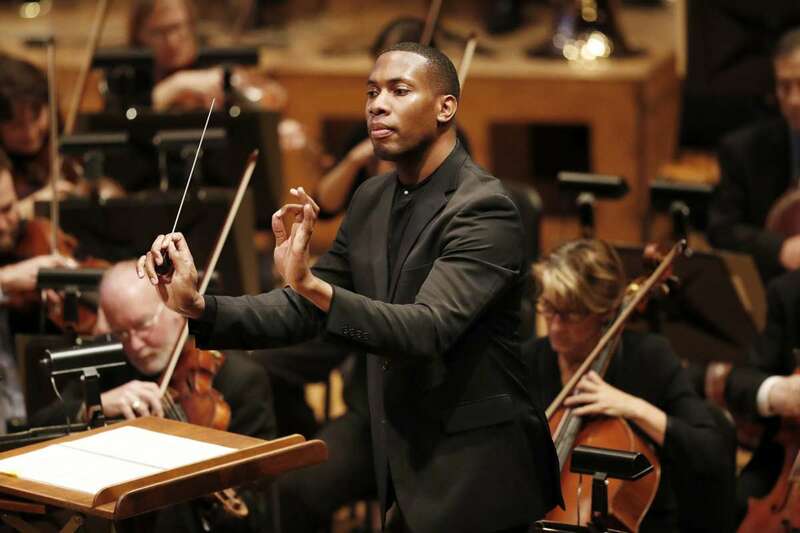 In 2019, Cox became the first African American conductor to grace the Houston Grand Opera's podium in 27 years with Bizet's famous opera, The Pearl Fishers. Juneteenth is an American holiday that commemorates the June 19, 1865 announcement of the abolition of slavery in Texas. 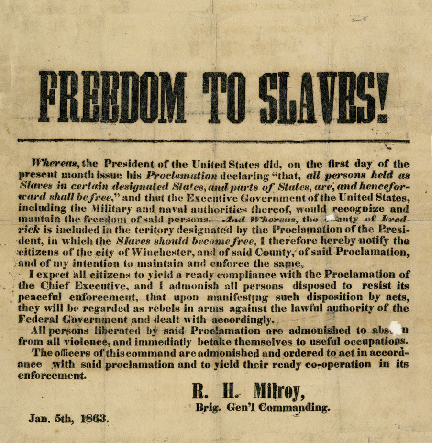 It is the oldest known celebration that recognizes the end of slavery in the United States. Led by Major General Gordon Granger, Union soldiers landed at Galveston, Texas on June 19, 1865 with the news that the Civil War ended and that slaves were now free. This new came to slaves in this area two and a half years after U.S. President Abraham Lincoln's Emancipation Proclamation freeing slaves, which became official on January 1, 1863. 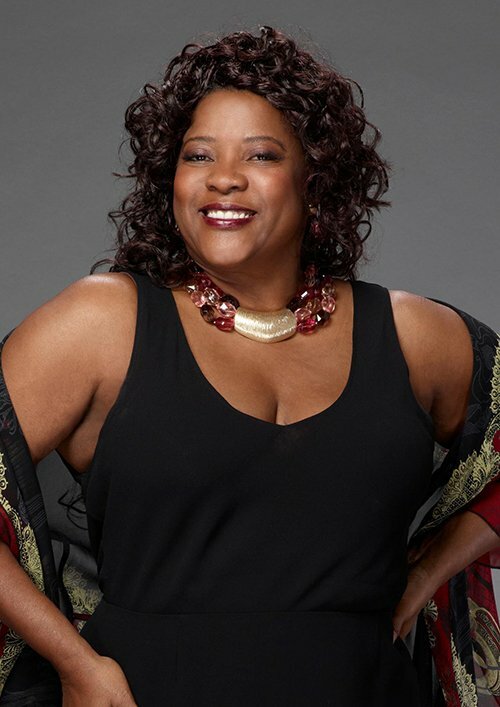 Loretta Devine is an Emmy-winning actress and singer from the Acres Homes neighborhood in Houston. Devine got her start in 1977 by landing a role in the Broadway revival of Hair. Her big break in the industry came in 1981 later with her performance of Lorell in the musical hit Dreamgirls. Then 1995, she reemerged to fame with her role as Gloria Matthew in the screen adaptation of Terry McMillan’s Waiting to Exhale. Devine has a prolific screen career having starred in several TV shows and movies including A Different World, Little Nikita, This Christmas, Boston Public, Being Mary Jane, The Carmichael Show and ABC’s longest running primetime show, Grey's Anatomy. Located just southwest of Downtown Houston, Freedmen's Town is a nationally registered historic site. The area, formerly a community located in the Fourth Ward, began in 1865 as the destination for formerly enslaved people from surrounding plantations in Texas and Louisiana. The name, "Freedmen's Town," is the description of an African American community built by and for former slaves emancipated during and after the Civil War. Freedmen's Town is in the running for a United Nations cultural designation. 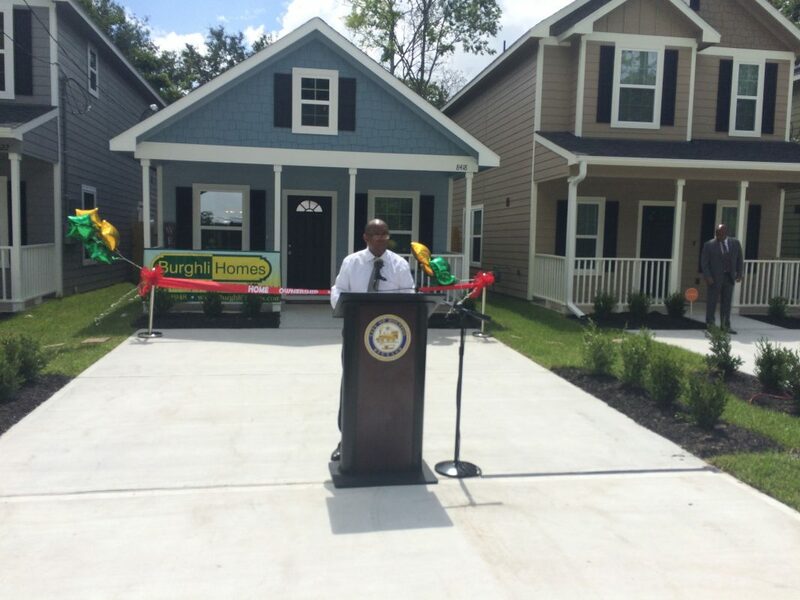 Once considered the South's largest unincorporated black community, Acres Homes is south of Aldine and 10 miles northwest of Downtown Houston. The name, "Acres Homes," comes from the fact that land was sold by the acre and not by the lot during World War I. Because of its proximity to Downtown Houston and the vast amount of affordable, heavily-wooded land that still exists today in Acres Homes, local painters and sculptors have been drawn to the community. Located in the historic Third Ward, Emancipation Park is the oldest park in the city. Purchased in 1872 by former slaves, the 10-acre park was the only public park and swimming pool available to African Americans until the 1950s. 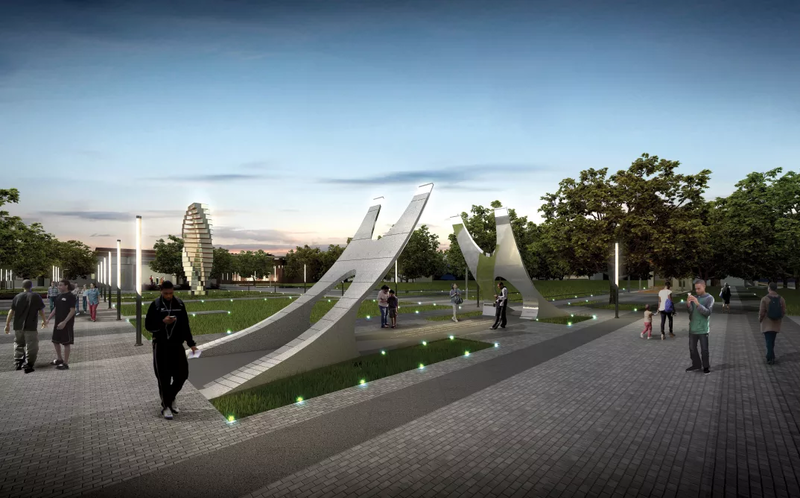 Emancipation Park received a $33.5M renovation in 2017, with a redesign overseen by the same architect that created the vision for the National Museum of African American History and Culture, Philip Freelon. Visitors now enjoy a modern landscape, playgrounds, outdoor pavilion, and community center complete with a swimming pool, gym, meeting rooms and more. The Eldorado Ballroom is a historic night club located in the historic Third Ward of Houston built in 1939 by Houston architect Lenard Gabert. 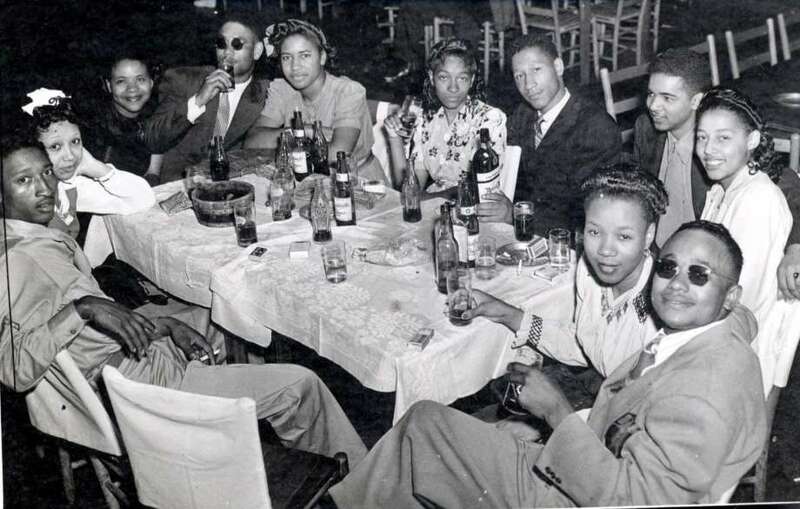 Throughout the mid-1900s, Houston's Eldorado Ballroom reigned as one of the most excellent showcases in Texas for live performances of black secular music—mostly blues, jazz and R&B, and occasionally pop and zydeco. 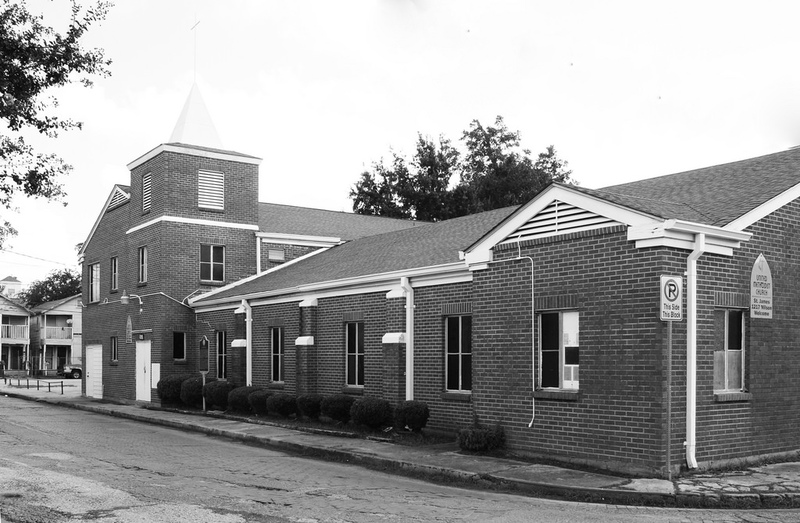 The ballroom, owned and operated by African Americans, occupied the entire second floor of the Eldorado Building located across from the historic Emancipation Park. The Eldorado Ballroom underwent renovations in 2003 and is still used today for special events. 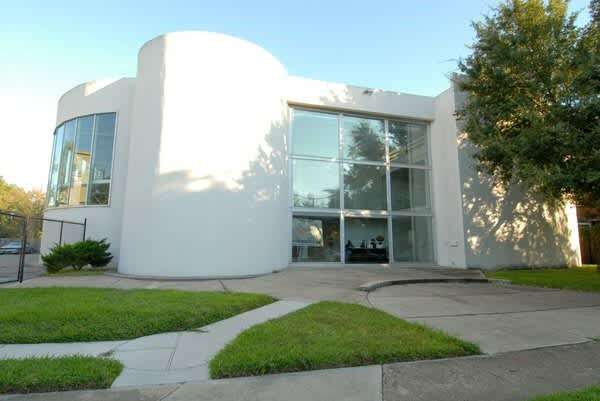 John Chase, Sr. was one of the great prolific modern architects of the 20th century. He was the first African American to enroll at the University of Texas (UT), first African American president of the famed UT alumni group, Texas Exes and the first licensed African American architect in Texas. Chase was also the first African American to serve on the U.S. Commission on Fine Arts, which during his watch picked Maya Lin to do the Vietnam Veterans Memorial. Among his best works are expansion efforts he led for Texas Southern University, including Martin Luther King Humanities Center, Sterling Student Life Center and Thurgood Marshall School of Law Building. Chase also built Riverside National Bank (now Unity National Bank). Additionally, his firm, John S. Chase, A.I.A. Architect, Inc., was part of teams that renovated the Houston Astrodome and designed the George R. Brown Convention Center, and was commissioned as a designer for the U.S. Embassy in Tunisia. Thomas F. Freeman is the legendary Texas Southern University (TSU) debate coach that led the university to tremendous success winning hundreds of debate awards, including four international championships. 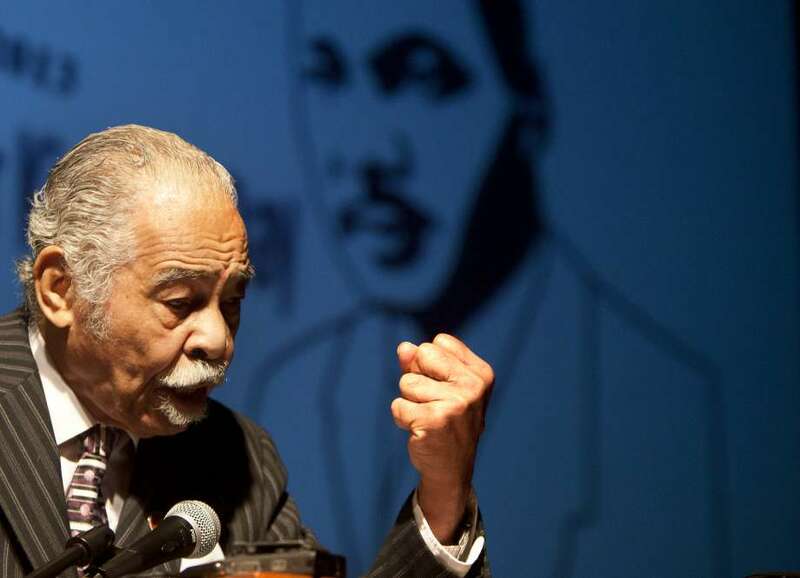 Before arriving at TSU in 1949, Freeman taught a teenager who grew up to become the Reverend Martin Luther King Jr. while serving as a guest lecturer at Atlanta's Morehouse College. The experience was so memorable that later King is said to have come up to Freeman and thanked him for his instruction during a religion course. While at TSU, he taught the late U.S. Congress members Barbara Jordan and Mickey Leland, Boston bishop George Turner and former Texas Senator, now Harris County Commissioner Rodney Ellis. He also trained actor Denzel Washington for his role in The Great Debaters. 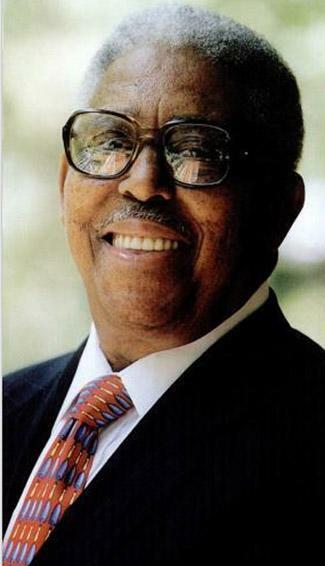 Freeman was a professor at TSU until his retirement in 2013, after six decades with the university. In 1948, Edward A. Thomas became the first African American police officer to work for the Houston Police Department (HPD). Although a few African American officers joined HPD before him, they quickly left due to racial issues while Thomas stayed to work on the force. 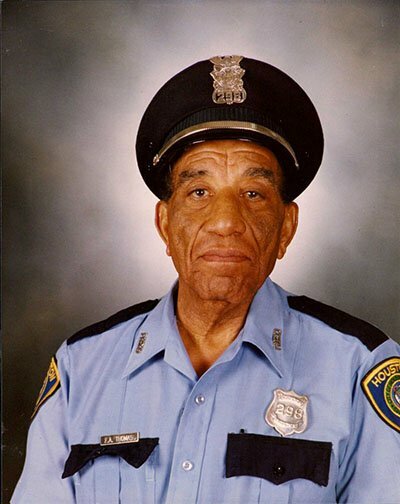 Affectionately known to his fellow officers and city leaders as "Mr. Thomas," he was an HPD police officer for 63 years -- the longest-serving officer in history. In 2015, Houston City Council named HPD's 26-story Travis Street headquarters, the Edward A. Thomas Houston Police Department. William Madison McDonald, also known as "Gooseneck Bill" was a politician, businessman, banker and fraternal leader of the state's Masons. 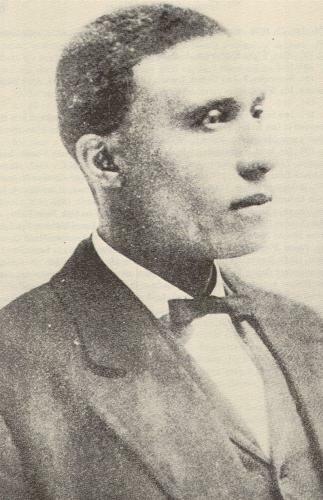 McDonald is also believed to the first African American millionaire in Texas. McDonald became prominent in Texas Republican politics in 1892, when he was elected to the party's state executive committee. For more than 30 years, he remained a notable figure of the party as leader of Texas' Republican Party "Black and Tan" and attended many Republican national conventions. Founded in 1935, the Greater Houston Black Chamber (GHBC) is the city’s African American civic organization. As a member-driven organization that serves the Greater Houston Area, the GHBC evolved into an active participant in the City of Houston’s socioeconomic process. The GHBC is the “go-to” organization for business development and community outreach partnership opportunities in the Houston African-American community. The GHBC is dedicated to supporting African-American small businesses in the areas of education, certification and accessing contracting opportunities and capital. Established in 1866, the Fifth Ward is on the northeast edge of Downtown Houston north of Buffalo Bayou and east of White Oak and Little White Oak Bayous. The Fifth Ward was initially created from First Ward and Second Ward and became home to many ethnic groups moving to the area in the 1800s. Beginning in the early 1920s, French-speaking Catholic migrants from southwestern Louisiana started moving to Fifth Ward. 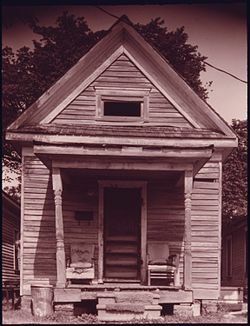 The enclave that became known as "Frenchtown" developed when the Southern Pacific Railroad recruited Creoles of color in 1922. By 1925, over 40 black-owned businesses lined Lyons Avenue, the main thoroughfare in Fifth Ward. Then in 1927, Phillis Wheatley High School was built to accommodate the growing black community. Fifth Ward has contributed enormously to the culture and politics of Houston. Musicians Arnett Cobb, Illinois Jacquet, Lester Williams and Joe Sample trained in the music program at Wheatley High School. Politicians Barbara Jordan and Mickey Leland also attended Wheatley, as did former heavyweight champion George Foreman. Then rappers like Fifth Ward Boy and the Geto Boys rose to fame in the 1990s. The area also served as a backdrop to movies like Jason's Lyric and Fifth Ward in the 90's. Residents of this community also have access to inconic locations like Finnigan Park and the DeLuxe Theatre. Little known fact: The folklorist and historian Robert “Mack” McCormick coined the term “zydeco” during a visit to the neighborhood in 1950. Located in Houston’s Midtown area, Ensemble Theatre is the largest African-American professional U.S. theatre company. It produces in-house and owns its own facility. Each year the theatre presents a repertoire of critically acclaimed dramas, comedies and musicals that demonstrates the artistic ability of more than 250 professional local, regional and national artists and support staff. The theatre also has an educational touring program and a summer young performers training program. The theatre is a non-profit organization that houses three stages. The Ensemble Theatre was founded as a touring company in 1976 by the late George Hawkins. Located in the Museum District, the Houston Museum of African American Culture (HMAAC) explores stories inspired by themes of opportunity, empowerment, creativity, and innovation and cultural interrelationships through the lens of the African American experience. The Museum seeks to engage visitors of every race and background through discovery-driven learning and preserve African American history. Since 2012, it has been the mission of HMAAC to collect, conserve, explore, interpret and exhibit the material and intellectual culture of Africans and African Americans in Houston, the state of Texas, the southwest and the African Diaspora for current and future generations. The 1847 Harris County case Emeline, a free person of color v. Jesse P. Bolls highlights a monumental legal victory. Emeline came to Houston as a free woman in the early 1840s, where she and her sons were forced back into slavery by Jesse P. Bolls. They remained Bolls' slaves for the 18-month duration of the case. She was an illiterate, biracial woman and made the bold decision to take legal action to sue her slave owner. Her tremendous courage prevailed despite the odds being stacked against her. Slavery was still legal in Texas at that time. Under pro bono legal counsel of Peter Gray, Emeline filed a suit to gain her freedom. This case was the first known pro bono case in Houston. Judge C.W. Buckley was a slave owner. Gray handpicked the jury to consist of 6 white men who did not own slaves. Ultimately, they ruled in Emeline's favor and fined Jesse P. Bolls for $1. Emeline protected her freedom. Historical documentation from this critical case was found in the Harris County Archives. Emeline offers a symbol of the importance of Houston lawyers continuing to do pro bono work. Project Row Houses is a highly acclaimed art and cultural community center consisting of 22 renovated shotgun-style homes in the historic Third Ward. 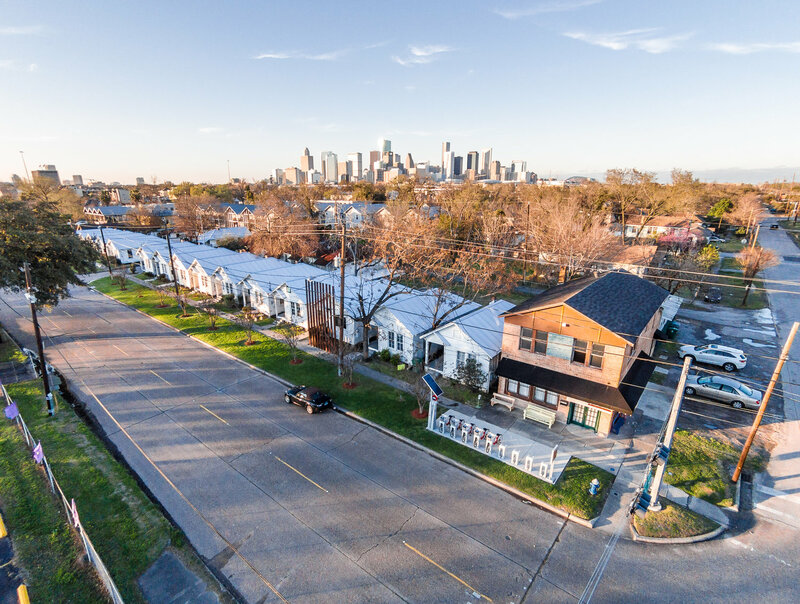 With the financial and material resources of Houston's corporations, foundations and art organizations, volunteers have been able to restore the site of 2500 Holman and the 22 shotgun houses that sit upon it. 10 of the 22-row homes are dedicated to art, photography and literary projects, which are installed on a rotating six-month basis. When a group of artists is commissioned, each is given a house to transform in ways that speak to the history and cultural issues relevant to the African-American community. Located in seven homes adjacent to those dedicated to art, The Young Mothers Residential Program provides transitional housing and services for young mothers and their children. Travis Scott (formerly listed as "Travi$ Scott") is a rapper, singer, songwriter and record producer from Houston suburb, Missouri City. His given name is Jacques Berman Webster II. In 2012, Scott signed his first major-label deal with Epic Records. In November of the same year, he signed a deal with Kanye West's GOOD Music, as part of its production wing Very GOOD Beats, after appearing on the label's compilation album Cruel Summer. Scott's first full-length project, a mixtape titled Owl Pharaoh, was self-released in May 2013. This was followed with a second mixtape, titled Days Before Rodeo, in August 2014. His debut studio album, Rodeo, led with the hit single "Antidote," which reached the top 20 of the U.S. Billboard Hot 100 chart. His second album, Birds in the Trap Sing McKnight, released in September 2016 to equally positive reviews. 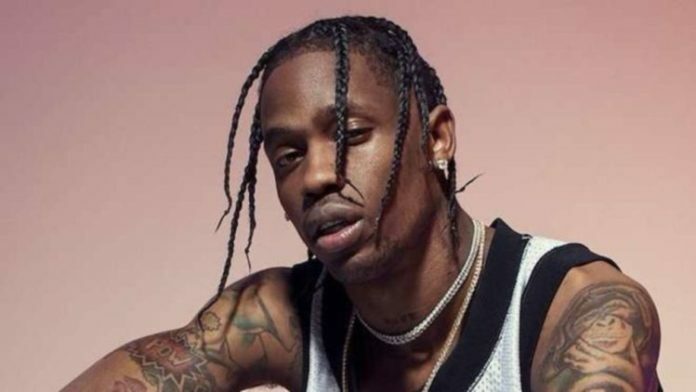 He released his third album, Astroworld in 2018; it produced his first Hot 100 number one single, "Sicko Mode." Scott performed in the 2019 NFL Halftime Show with Maroon 5 and Big Boi. George Thomas "Mickey" Leland was one of America's most effective spokesman for hunger in the U.S. and throughout the world. During six terms in the U.S. Congress, six years as a Texas state legislator and, Democratic National Committee official, he focused much-needed attention on issues of health and hunger and rallied support that resulted in both public and private action. Leland combined his skills of the charismatic leader with the power of being a sophisticated behind-the-scenes congressman. He matured during his years in Congress into a brilliantly useful and influential advocate for food security and health care rights for every human being. 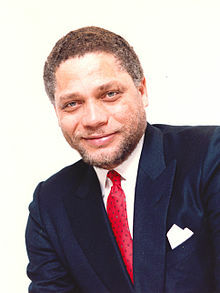 When Mickey Leland died in 1989, he was Chairman of the House Select Committee on Hunger. His committee studied the problems associated with domestic and international hunger and then delivered the practical solution of food. 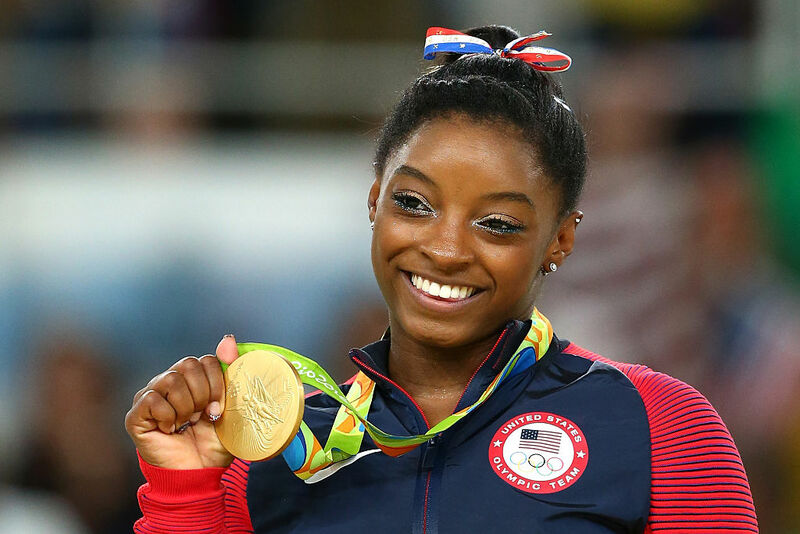 Simone Biles is a 25-time Olympic and World Championship award-winning gymnast from Houston. As part of the gold-medal-winning team dubbed the "Final Five" at the 2016 Summer Olympics in Rio de Janeiro, Biles is the 2016 Olympic individual all-around, vault and floor gold medalist and balance beam bronze medalist. She is a four-time World all-around champion (2013–15, 2018), four-time World floor exercise champion (2013–15, 2018), two-time World balance beam champion (2014, 2015), the 2018 World vault champion, a five-time United States national all-around champion (2013–16, 2018), and a member of the gold-medal-winning American teams at the 2014, 2015, and 2018 World Artistic Gymnastics Championships. Additionally, she is a three-time World silver medalist (2013 and 2014 on vault, 2018 on uneven bars) and a three-time World bronze medalist (2015 on vault, 2013 and 2018 on balance beam). The author of Courage to Soar, Biles is the most decorated American gymnast and the third most decorated female gymnast in history.